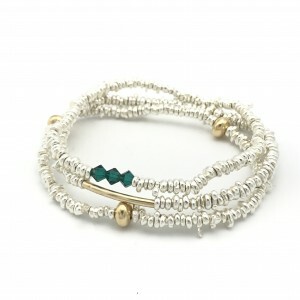 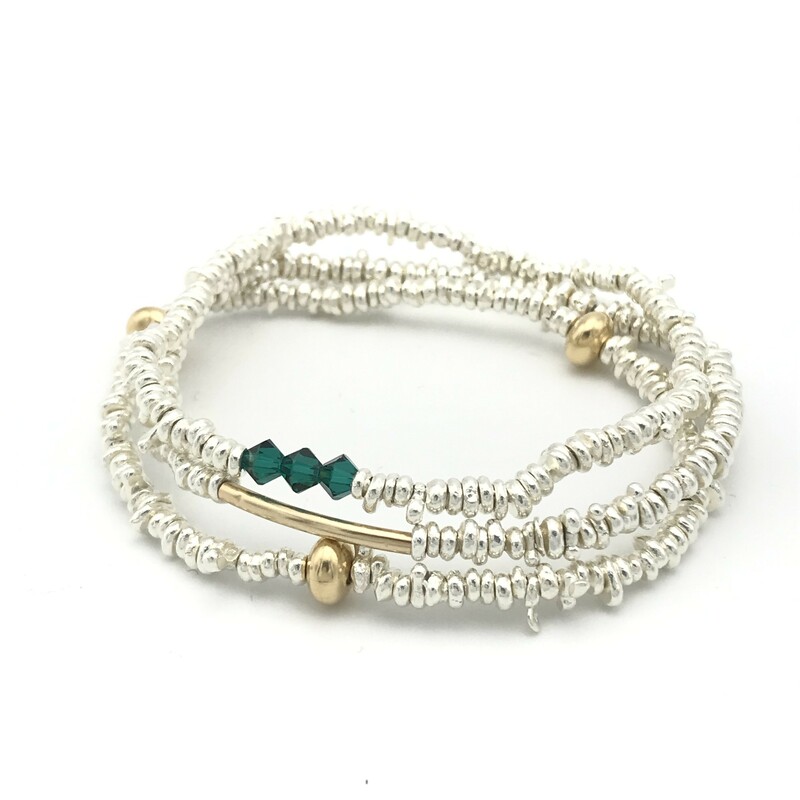 Dash Bracelet – Emerald. 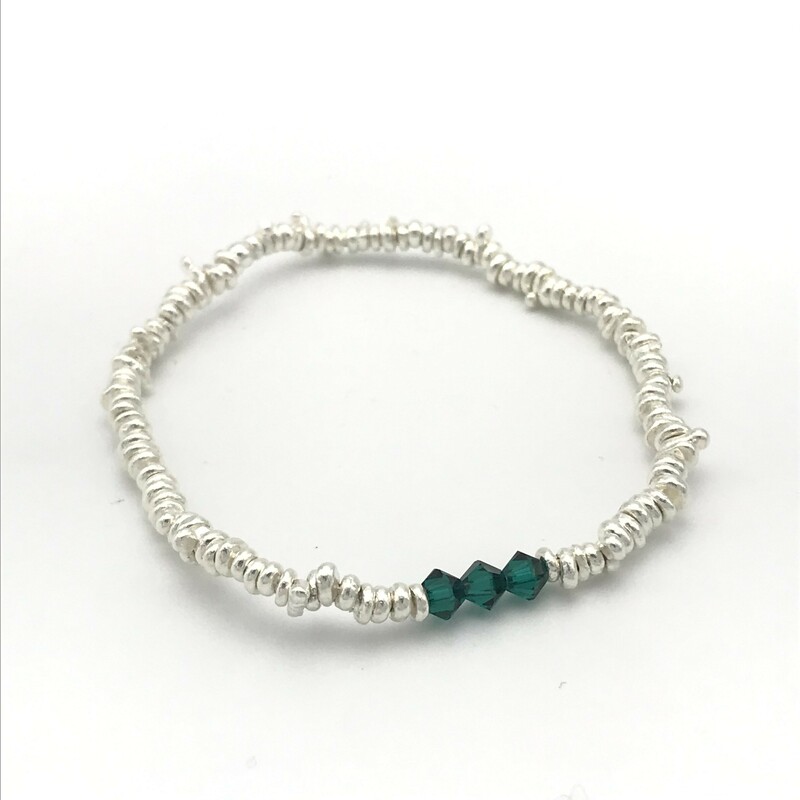 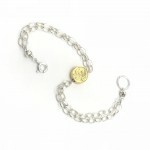 Gorgeous sterling silver bracelet with each nugget being completely unique and handmade. 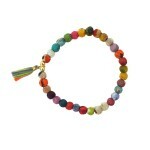 There’s just a dash of colour and sparkle, using Swarovski crystals. Be the first to review “Dash Bracelet – Emerald” Click here to cancel reply.